watpi requested review of D6077: Update variety to 0.7.1.
watpi added a comment to T7833: Update heroku-cli to 7.22.9.
watpi added a comment to T7858: Huawei E3276 not picked up - ModemManager not running. watpi updated the diff for D6031: Update scribus to 1.4.8.
watpi added a comment to T7613: Ralink RT5370 doesn't find networks on first boot. Tested on Xubuntu 18.04.2 and on my desktop (Solus 4 with latest kernel). The dongle works instantly. However, on my spouse's machine it needs another boot. Any ideas? watpi requested review of D6031: Update scribus to 1.4.8.
watpi added a revision to T7865: Update scribus to 1.4.8: D6031: Update scribus to 1.4.8.
watpi updated the summary of D6030: Update opera-stable to 58.0.3135.127.
watpi requested review of D6030: Update opera-stable to 58.0.3135.127.
watpi updated the test plan for D6029: Enable ModemManager service by default. watpi requested review of D6029: Enable ModemManager service by default. watpi added a revision to T7858: Huawei E3276 not picked up - ModemManager not running: D6029: Enable ModemManager service by default. watpi requested review of D6026: Update numix-icon-theme-square to 19.04.15.
watpi updated the summary of D6025: Update numix-icon-theme-circle to 19.04.15.
watpi requested review of D6025: Update numix-icon-theme-circle to 19.04.15.
watpi added a comment to T7864: Firefox search bar gets reset after update. Can't recall the exact day I noticed it last time, but I guess one of the April updates did it. And has happened before, too. watpi updated the task description for T7862: Update firetools to 0.9.58.
watpi reopened T7862: Update firetools to 0.9.58 as "Open". watpi updated the task description for T7861: Update firejail to 0.9.58.2.
watpi added a comment to D6023: Update opera-stable to 60.0.3255.27. This is a beta update, not a stable update. Herald added a project to T7864: Firefox search bar gets reset after update: Lacks Project. Hi there, for me ModemManager was not enable at boot, i had to sudo systemctl enable ModemManager and after i didnt have any kind of problem anymore. Herald added a project to T7862: Update firetools to 0.9.58: Software. watpi created T7861: Update firejail to 0.9.58.2.
watpi added a comment to T7860: Update firejail and firetools to latest versions. watpi created T7860: Update firejail and firetools to latest versions. watpi requested review of D6015: Update telegram to 1.6.7.
watpi updated the task description for T7858: Huawei E3276 not picked up - ModemManager not running. watpi created T7858: Huawei E3276 not picked up - ModemManager not running. watpi requested review of D6005: Update amsynth to 1.9.0.
watpi updated the diff for D5904: Update arc-gtk-theme to 20190330.
watpi requested review of D5964: Update lutris to 0.5.2.
watpi abandoned D5902: Update riot to 1.0.6.
watpi added a comment to D5950: Update shotcut to 19.02.28.
watpi requested review of D5950: Update shotcut to 19.02.28.
watpi requested review of D5949: Update sardi-icons to 9.6.22.
watpi requested review of D5948: Update deepin-icon-theme 15.12.69.
watpi requested review of D5947: Update youtube-dl to 2019.04.07.
watpi requested review of D5909: Update youtube-dl to 2019.04.01.
watpi added a comment to D5904: Update arc-gtk-theme to 20190330. Could someone test it in gnome-shell? 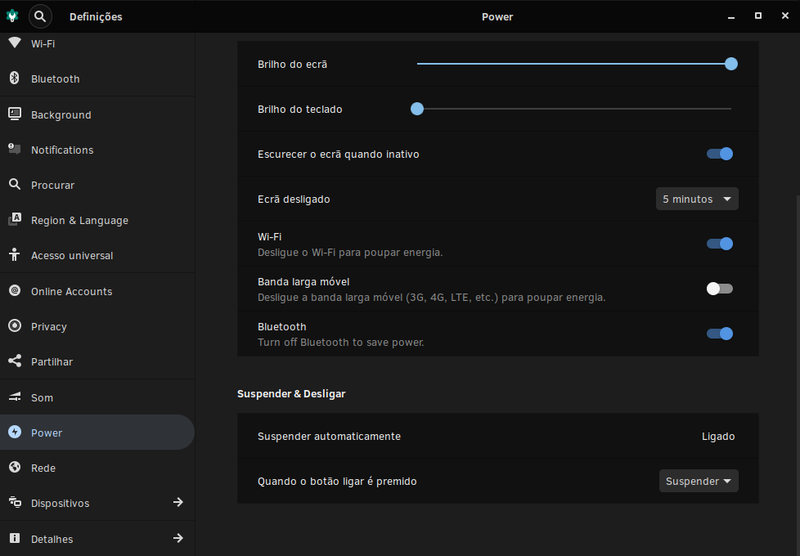 watpi requested review of D5904: Update arc-gtk-theme to 20190330.
kyrios123 awarded D5130: Update mono to 5.18.1.0 a Like token. watpi requested review of D5902: Update riot to 1.0.6.
watpi requested review of D5901: Update syncthing to 1.1.1.
watpi updated the test plan for D5130: Update mono to 5.18.1.0.
watpi updated the diff for D5130: Update mono to 5.18.1.0.
watpi added a comment to D5130: Update mono to 5.18.1.0.
watpi created T7803: Refresh appstream data. watpi added a comment to T7783: usb-modeswitch-data. I think it's already included in usb-modeswitch package. watpi requested review of D5852: Update sardi-icons to 9.6.16.
watpi updated the summary of D5851: Update opera-stable to 58.0.3135.118.
watpi requested review of D5851: Update opera-stable to 58.0.3135.118.
watpi requested review of D5850: Update numix-icon-theme-square to 19.03.20.
watpi requested review of D5849: Update numix-icon-theme-circle to 19.03.20.
watpi updated the test plan for D5839: Update Lutris to 0.5.1.2.
watpi updated the diff for D5839: Update Lutris to 0.5.1.2.
watpi added a revision to T7753: something-for-reddit update: D5840: Update something-for-reddit to 0.2.2.
watpi added a task to D5840: Update something-for-reddit to 0.2.2: T7753: something-for-reddit update. watpi requested review of D5840: Update something-for-reddit to 0.2.2.
watpi requested review of D5839: Update Lutris to 0.5.1.2.
watpi added a comment to D5803: Add libdatrie, libthai and libselinux as rundeps to ensure web helper functionality. You don't have a stack. watpi removed a child revision for D5801: Initial commit of libdatrie: D5803: Add libdatrie, libthai and libselinux as rundeps to ensure web helper functionality. watpi removed a parent revision for D5803: Add libdatrie, libthai and libselinux as rundeps to ensure web helper functionality: D5801: Initial commit of libdatrie. watpi added a parent revision for D5803: Add libdatrie, libthai and libselinux as rundeps to ensure web helper functionality: D5801: Initial commit of libdatrie. watpi added a child revision for D5801: Initial commit of libdatrie: D5803: Add libdatrie, libthai and libselinux as rundeps to ensure web helper functionality. watpi added a parent revision for D5803: Add libdatrie, libthai and libselinux as rundeps to ensure web helper functionality: D5802: Initial commit of libthai. watpi added a child revision for D5802: Initial commit of libthai: D5803: Add libdatrie, libthai and libselinux as rundeps to ensure web helper functionality. watpi added a parent revision for D5802: Initial commit of libthai: D5801: Initial commit of libdatrie. watpi added a child revision for D5801: Initial commit of libdatrie: D5802: Initial commit of libthai. watpi removed a parent revision for D5802: Initial commit of libthai: D5801: Initial commit of libdatrie. watpi removed a child revision for D5801: Initial commit of libdatrie: D5802: Initial commit of libthai. watpi added a comment to D5802: Initial commit of libthai. watpi updated the diff for D5802: Initial commit of libthai. watpi updated the diff for D5801: Initial commit of libdatrie. watpi added a task to D5803: Add libdatrie, libthai and libselinux as rundeps to ensure web helper functionality: T7721: Steam requires libthai.so.0. watpi added a revision to T7721: Steam requires libthai.so.0: D5803: Add libdatrie, libthai and libselinux as rundeps to ensure web helper functionality. watpi requested review of D5803: Add libdatrie, libthai and libselinux as rundeps to ensure web helper functionality. watpi requested review of D5802: Initial commit of libthai. watpi added a revision to T7721: Steam requires libthai.so.0: D5802: Initial commit of libthai. watpi requested review of D5801: Initial commit of libdatrie. watpi added a revision to T7721: Steam requires libthai.so.0: D5801: Initial commit of libdatrie. Herald added a project to T7727: Set cdrdao as rundep for Brasero: Lacks Project. watpi requested review of D5774: Update opera-stable to 58.0.3135.107.
watpi updated the task description for T7705: Update OpenRA to 20190314.